customized to meet your goals. I hear you… You need help. But not just any generic advice that can be found everywhere else, on blogs, in books, or on podcasts. Frankly, it can all be more overwhelming than helpful. What you need is a REAL, ACTIONABLE GAME PLAN that is broken down for you in a way that means you can begin to implement changes to your approach from day one! We’ll work through your roadblocks together and you’ll walk away with a customized solution and the confidence to put it to use. So, another month (maybe years?) has come and gone and while you’ve made progress, you’re still not where you want to be or where you know you could be. You’ve read the books and listened to the podcasts, but yet you still feel overwhelmed with what your next steps should be. Your lifestyle goals are BIG, your financial goals are even BIGGER, and you are ready to make them happen. Perhaps you are trying to figure things out by constantly Googling “how to find a Sugar Daddy”, “how do I ask for what I want”, and not knowing what the best option is to take to make this lifestyle work for you. You’re scrolling through Instagram feeds, again. You’re trying to connect with others to receive help. Your friends just don’t get it. You’re overwhelmed and frustrated because you have no idea of what you should be doing and constantly second guessing yourself. You spend hours researching information about how beneficial relationships work but you’re still confused, because even if it worked for someone else, you’re not sure it will work for you. You want help - but not generic advice or another book. You’ve already tried your hand at piecing it together and it still has you coming up short. It doesn’t have to be like this — AT ALL! 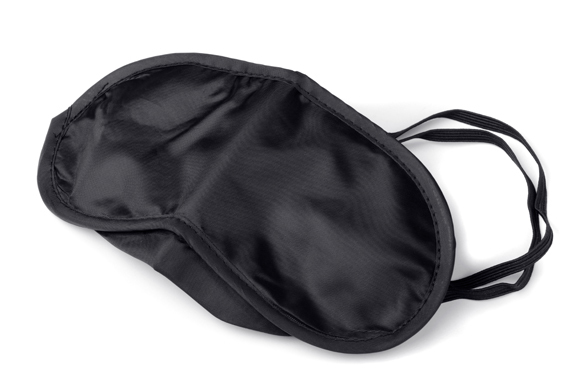 Instead, let me take the blinders off and reveal to you what’s missing from your approach, and then hand you a customized strategy with instructions on how to implement it. I know, it’s hard to imagine… especially because lately it feels more like you aren’t getting anywhere within this lifestyle and it’s kind of burning you out. It’s no wonder you’re frustrated. You need guidance. You need a one-of-a kind cleverly crafted game plan that takes you from stuck in frustration to well on your way to reaching your goals. If you don’t know what you’re doing, you can EASILY waste your time. Even if you have been on and off dating sites for years with no luck. Even if you have changed your profile over three times and still you’ve had no success. Even if no one is initiating contact with you. Even if you don't know what to say or how to ask for what you want and get it. You are succeeding at matching with the right men and getting dates, because you know the right step to take to get you out of the situation you are in without second guessing yourself. You have a crystal-clear picture of how to better position yourself with what to do and how to do it because you got amazing advice and feedback from your Relationship Success Coach (me, Taylor!) in advance. You have the confidence to get to the next level because you have a solid, actionable plan that you can implement step-by-step to reach your personal, professional, and financial goals. That's what happens when we do it TOGETHER. +a mature woman in her 40's attract her ideal relationship and get the ring. No matter who you are, what your situation is, or what your goals are, I’ve got you. I’ve worked with more than 500 different women to help them take it to the next level. You have a big obstacle or issue that needs urgent attention and a solution real fast. You’re tired of winging it out on your own and are ready for some personalized help from a person who knows exactly what you need to do. Working with Taylor on my game plan pointed me in the exact direction I needed to go! Before Taylor, I was lost, overwhelmed, and spent the majority of my time researching. I knew what I wanted but didn’t know how to translate that. I felt that my profile, how I was coming across to others, the dates I went on, and everything about how I was going about this was all over the place. Working with Taylor on my game plan pointed me in the exact direction I needed to go! I was surprised how well Taylor focused on my goals because I was clueless to how I was going to make this work. The plan itself encouraged me to think bigger about what I can actually achieve and cast a wider net that I wouldn’t have considered on my own. It would have taken me so much more time to piece it all together and wasted energy focusing on the wrong things. The opportunity to talk it through with Taylor was priceless. A one-on-one, customized strategy where I co-create a game plan with you so that you don’t have to guess what your next move should be. We nail down what you REALLY want to achieve and what has you stuck. We discuss your strategy with clear direction to make sure everything aligns with your personal goals. Then I put together your customized game plan and you finally reach your goals. Because trying everything doesn’t work if what you are doing isn’t the right way. There are only a few strategies that we must invest time in and I’ll hand-pick those for you based on your goals. Because there are approaches that you haven’t even considered to getting what you want and/or more of it. Yes, even though you’ve been in it for long, you may be hustling over the wrong strategy. Because all those books lying on the shelf or locked inside the Kindle app are leaving you overwhelmed and confused. It’s time to stop winging it. Have more questions? Want to make sure it’s the right fit before you commit? Let’s have a chat, click here. this opportunity is very limited. Therefore, I only schedule 4 clients per month for this service. Click the “I’M READY FOR MY CUSTOMIZED GAME PLAN!” button below to select your payment option with a one-time payment of $497 or get started with $297. After you submit your payment, you’ll receive your welcome packet and client agreement from me within 1 business day. Once your agreement has been signed (electronically of course! ), you’ll be given access to your Game Plan Pre-Session Questionnaire. Side effects may include: A rush of clarity. When your prep work is complete, we’ll get our schedules aligned for our Clarity Call (60 minute consultation) to make sure I get you the A’s to your Q’s (you know, your questions answered) and equip you with what you need to nail down what you REALLY want to achieve that has you stuck plus common pitfalls to watch for and strategies to sidestep them. TIMELINE: 7 BUSINESS DAYS & YOUR CUSTOM GAME PLAN DELIVERED. You & Me + One Week = Email support for 5 days after your Game Plan has been delivered. You’ll get one-on-one access to me and you’ll be able to ask me anything related to implementing your customized Game Plan. I’M READY FOR MY CUSTOMIZED GAME PLAN Have more questions? Want to make sure it’s the right fit before you commit? If the only thing you got from this customized Game Plan was clarity about the next right step to take to get you out of the situation you are in, it would be worth the investment. If the only thing you got from this Game Plan was a crystal-clear picture of how to better position yourself with what to do and how to do it without second guessing yourself, it would be worth the investment. And if the only thing you got from this Game Plan was the belief that you can get to the next level and be in a better place with knowing how to replicate it in the future, it would be worth the investment. My Sugar Baby Game Plan is worth every cent. My Sugar Baby Game Plan is worth every cent. I'm just still so amazed at everything Taylor came up with and how quickly she did it. Taylor obviously know what she’s doing, has a ton of experience, and has a great mind for this kind of work. It feels inspiring, exciting, relieving, and grounding to have a customized Game Plan that I can implement. I feel confident in asking, better at qualifying men who are a better fit for me and contacting men directly doesn’t feel desperate to me anymore. I also feel that knowing what I know now will save me more time and help me get to the place I want fairly quickly. I wish I would have done it sooner! If there was a compass to Sugar Daddy dating…Taylor is it! If you're on the fence about working with Taylor, get off. Taylor’s insight, intuition and expertise will take the blinders we all have about Sugar Daddy dating right off and allow you to see all the paths available to you that you didn’t even know existed. When I first got my customized Game Plan, her ideas were in sync with my goals. And out of the box from what I was attempting to do, it blew me away. If there was a compass to Sugar Daddy dating…Taylor is it. This has literally saved me time. I’m not getting any younger. I've been trying to figure this out for years and, with one call, Taylor broke it down. I FINALLY got him to provide a continuous monetary support with Taylor’s help. Taylor’s Sugar Baby Game Plan was beyond priceless for me and it paid off! My current sugar daddy (boyfriend) that I have been with for almost a year has been good to me. But he never gave me anything consistently. With a few adjustments and coming up with different approaches from her suggestions, I realized that I never asked him for anything and I just took. I didn’t know how to ask without feeling like he would leave, and so I didn’t. In just one week with Taylor (after one year of my relationship), I finally got him to provide a continuous monetary support with Taylor’s help! I've read tons of books, and never got as far as I did with Taylor. I was stuck in information overload! Too many books, and a whole lot of fear. And, I found myself just stuck in frustration. I've refined my focus and I’m back in control. It feels so good to have a direction and a Sugar Baby Game Plan mapped out. And someone there along with you. It felt right for me from the moment I spoke with Taylor. I highly recommend her to anyone needing that push to start or get going again in a direction! I asked for more & he gave. Before Taylor, I was a silent SB and always allowing my SDs to just provide me with what they wanted to give. Taylor gave me the encouragement and clear, easy-to-implement advice that made me feel worthy of having someone want to provide what I want. 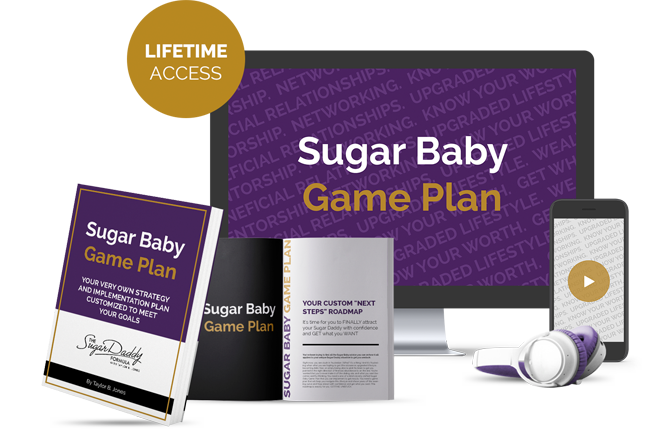 With just one approach from the Sugar Baby Game Plan, I realized that I wasn’t owning why I was here to begin with and that my way of thinking was totally backwards – AND I felt an instant burst of inspiration to ASK FOR MORE. I followed what she laid out in the plan. One text message, one email, and one phone call in less than 4 hours I was getting more from my SD! plan customized to meet your goals? I’M READY TAYLOR. SHOW ME THE WAY! Have more questions? Want to make sure it’s the right fit before you commit?